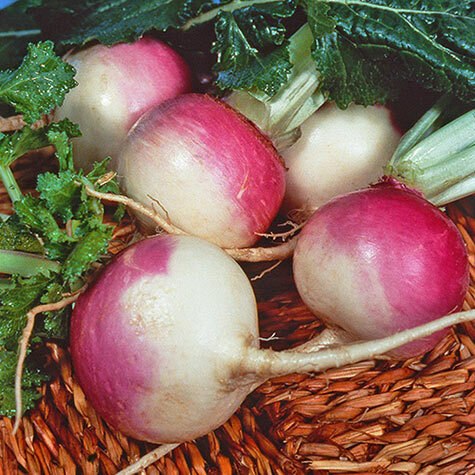 Purple Top White Globe Turnip | Gurney's Seed & Nursery Co.
Fine-grained roots get as big as softballs! A good fall crop—frost enhances flavor. 55 DAYS. Height: 14 - 22 inches. 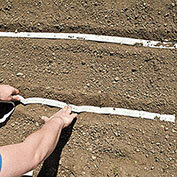 Spacing: 2 - 3 inches between plants, 18 - 30 inches between rows. Spread: 8 - 10 inches. Yield: 50 - 100 lbs. per 100 foot row. Fruit: Large, round, 4-6 inch purple topped roots. Crisp, sweet, mild, fine-grained white flesh. Days To Maturity: 55 days. 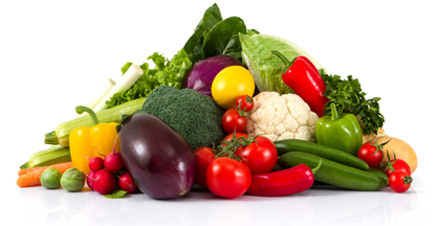 Soil Requirements: Fertile, loose, well-drained soil. 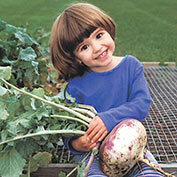 Seed Count: Approximately 600 seeds per packet, 1 oz. is approximately 7,000 seeds, 1/4 lb. is approximately 25,000 seeds. 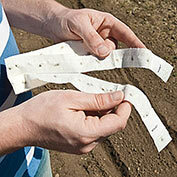 The seed tape is 15 feet long and has approximately 230 seeds. 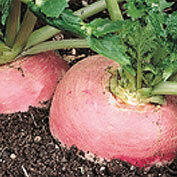 Comments: Best selling turnip, yields big crops. Smooth, attractive roots. Semi-erect prolific greens. Stores well. Best at 3 - 4 inches. Purplish-red above the ground and white below.